Past President Klaus Gubernator now serves as Trustee and Treasurer of the Rotary Club of Del Mar Foundation trust (chaired by Val Myers). 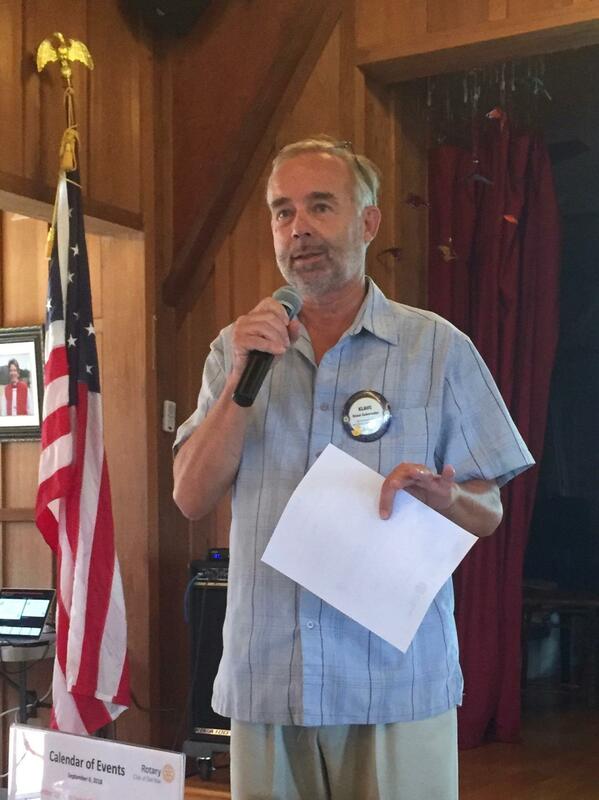 At the September 6, 2018 meeting he explained the different ways that club members can donate to support both club and Rotary International-sponsored projects. Download the pledge forms to donate to the club’s Foundation Trust and Rotary Foundation and return the completed forms and checks to Klaus. 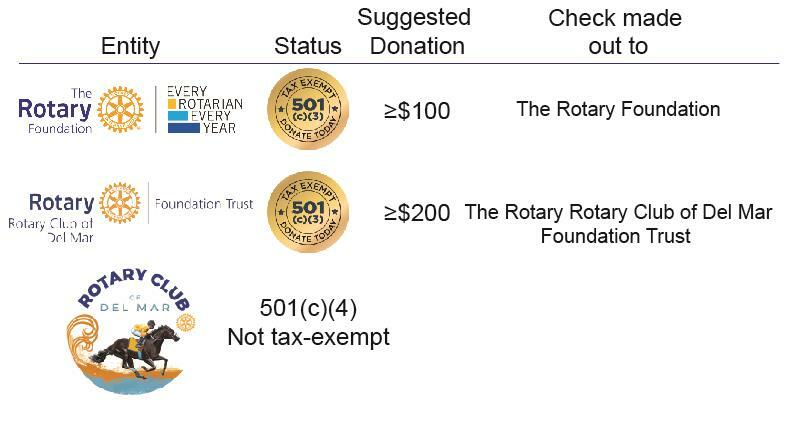 To ensure that your donation is tax deductible, make checks out to “Rotary Club of Del Mar Foundation Trust” and “The Rotary Foundation”, for donations to the Foundation Trust and Rotary Foundation, respectively. Members can also make their donations to the Rotary Foundation online by clicking here.